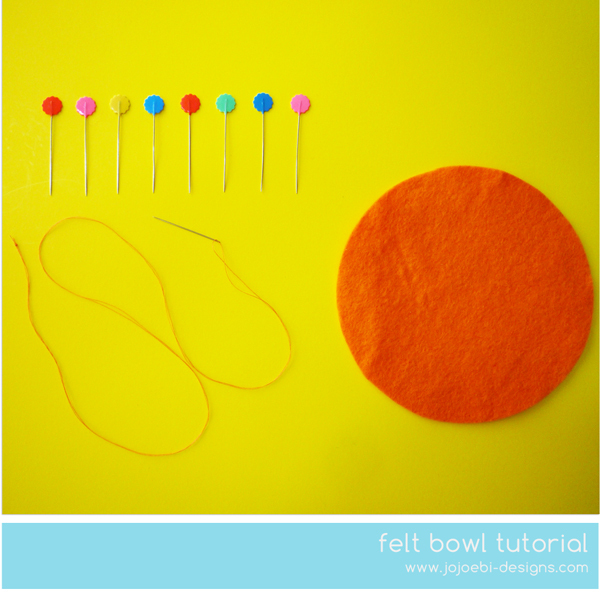 These little felt bowls are super easy to make and would make a great little starter projects for kids. They look so pretty stacked together or can be used for trinkets. 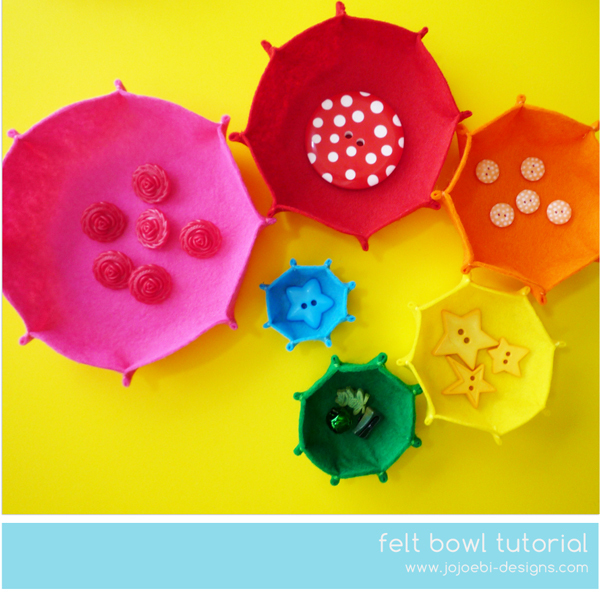 Those with little ones, kids LOVE sorting so these make perfect sorting bowls too. 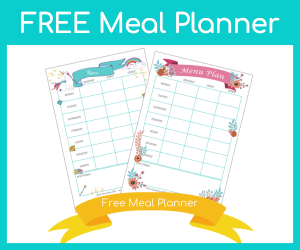 The circle can be any size, you can use a cup or plate as a template to draw round. 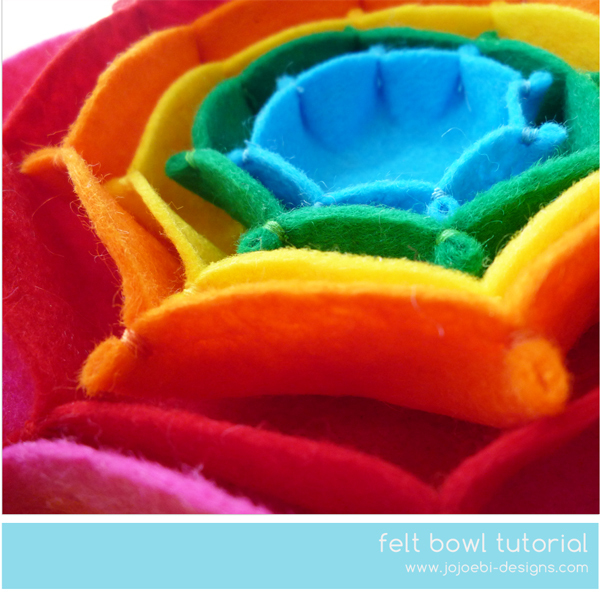 If you want to make large bowls then I recommend using thicker felt to make it a bit studier. 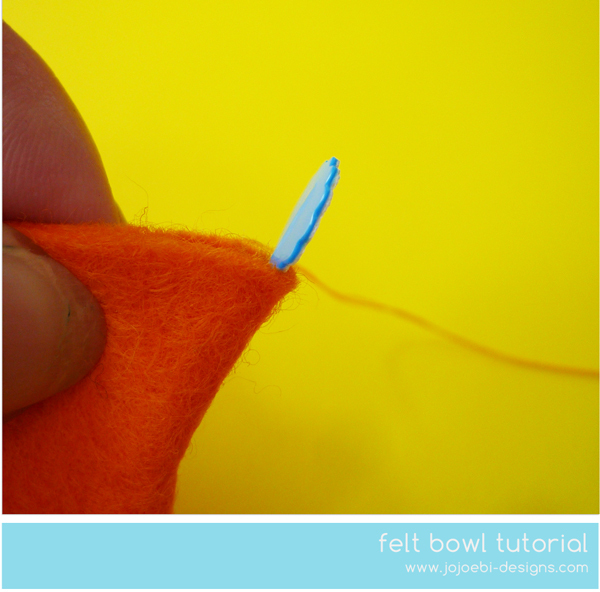 Fold the felt in half and put a pin in the half way point on both sides, then fold it again the other way so you have pins effectively at North, East, South, West. 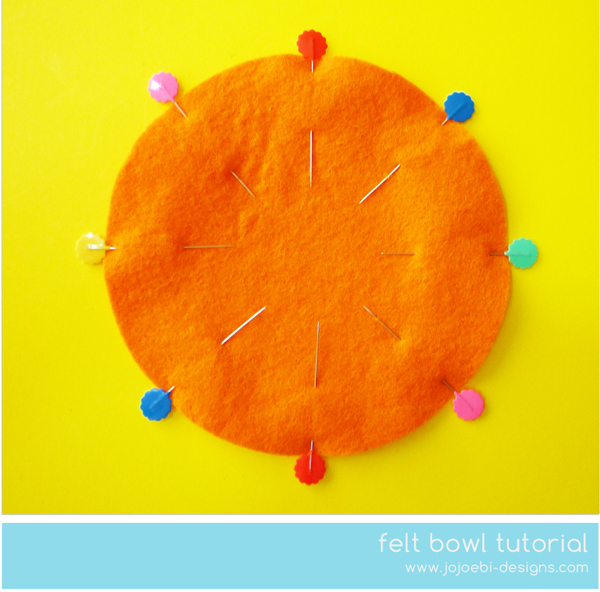 Now fold it again so the north pin touches the east pin and add another pin to the centre of the fold, continue until you have pins placed equally around the edge. 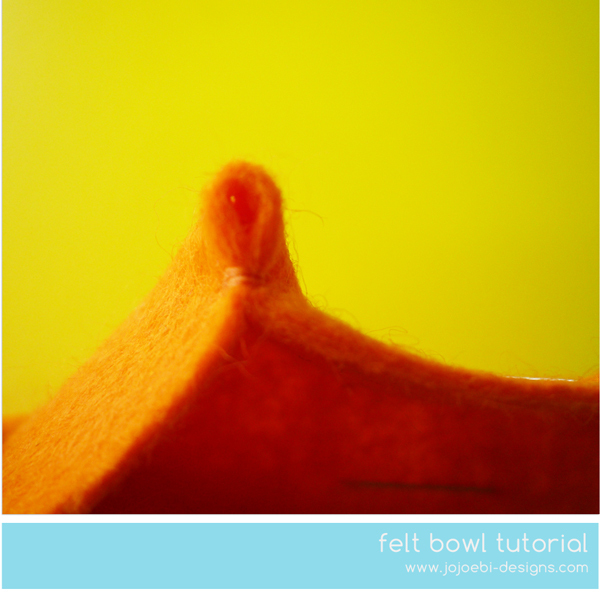 Fold your felt together and make a few stitches a few mm from the pin, you can get fancy here and add beads or contorting thread. Take out the pin and it should look like this. 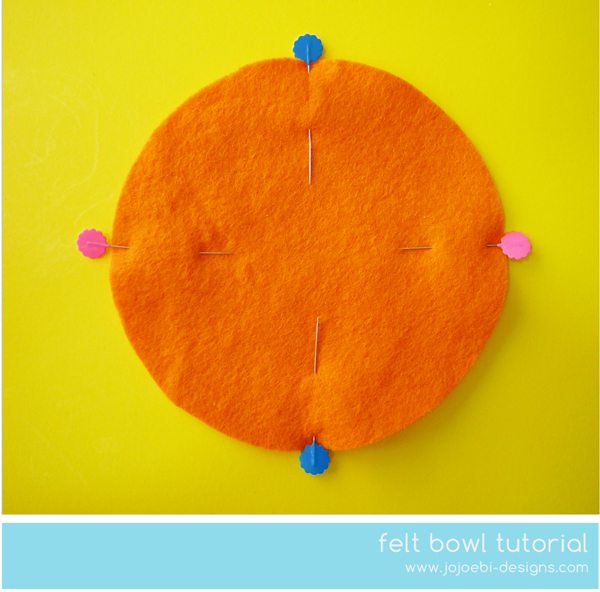 Continue all the way around until you have sewn each marked spot. Taa-daa, finished! Seriously, how easy was that? Fun! 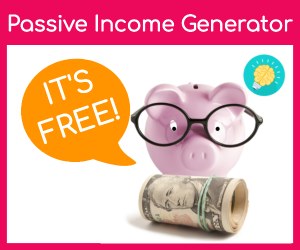 What would you use yours for? 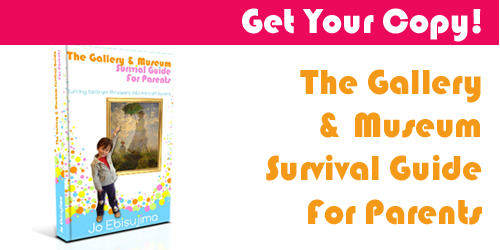 And if you are looking for more great sewing projects, take a look here! 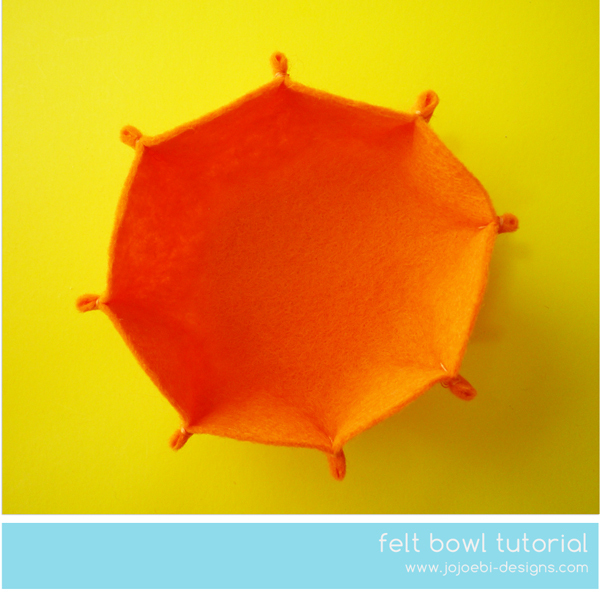 Wow, this is such a great idea, and so easy to make! This will make a great gift for my 18 month old, who loves stacking and sorting. Thanks for the idea! Forgive me for being so forward, but I could kiss you for this! Even my extremely basic seeing skills can handle these, and my Montessori heart is smiling at the prospect of little bowls in the perfect color and size for every activity. hahaha! 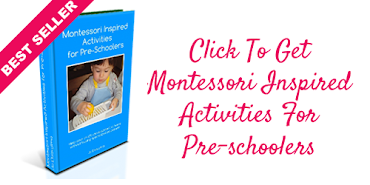 Let me know what you use them for when you make your Montessori ones, I would love to see them in action as it were! Love it. I might give it a try after Christmas. 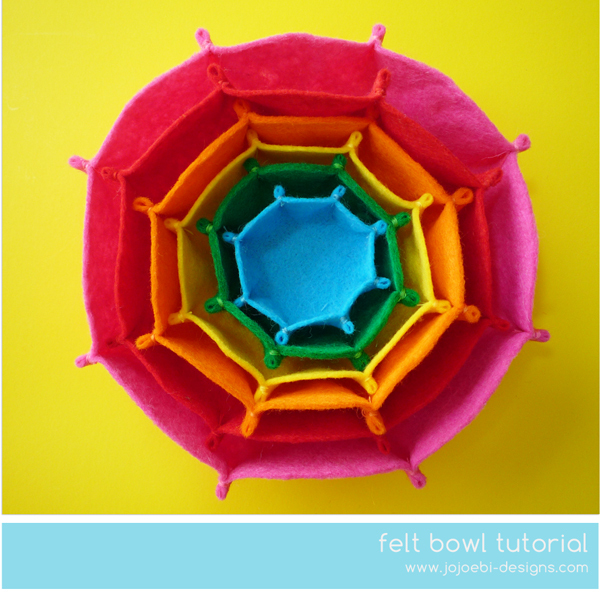 I can see it being so useful for lots of different storage ideas as well as Montessori-inspired uses. I am sure older children can make them by themselves and yes, I am sure there are loads of uses, let me know how it goes.